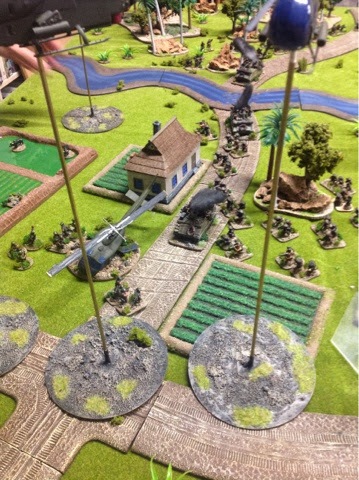 Mark and I had another great game of FOW Vietnam last night. We did 8 turns and my NVA broke just due to a huge amount of Chopper firepower. 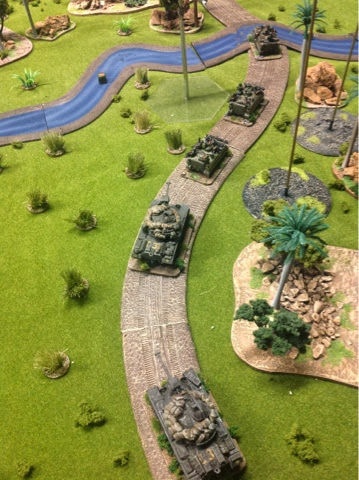 Start as the American armour moves towards the LZ. 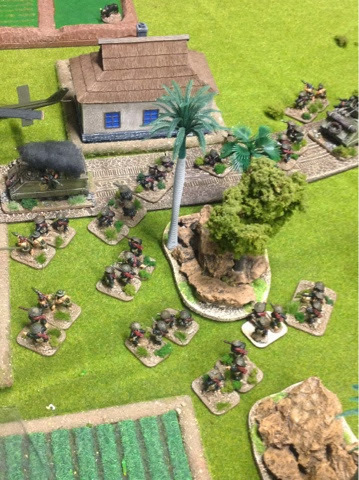 My infantry ambush slows them down. 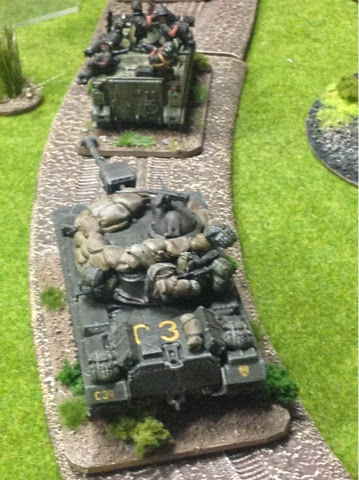 Nice M48s with resin sandbags. Armour on the way to to the LZ. 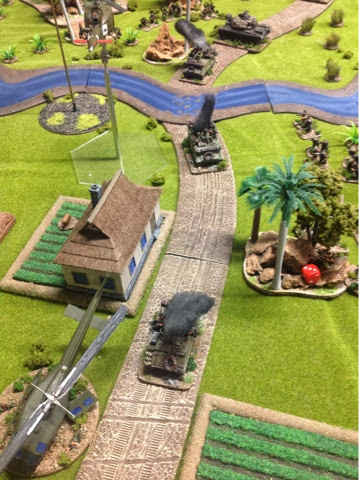 Ambush is sprung. RPGs on the way. 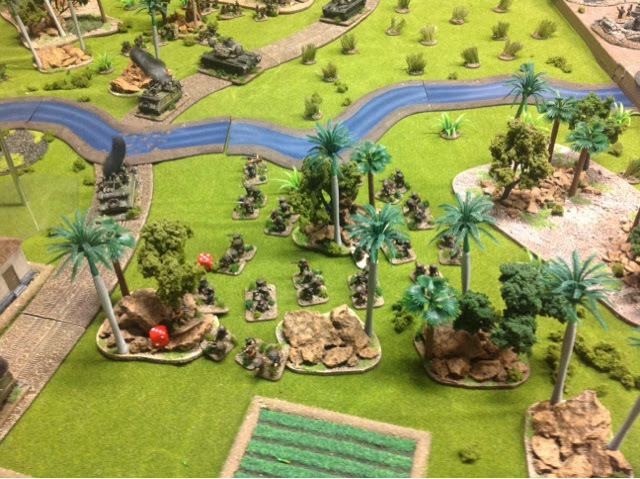 Lots of RPGs down range and only one burning APC. 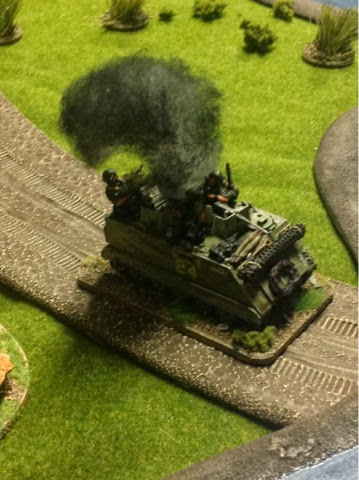 Another platoon carries out another ambush and destroy two APCs. 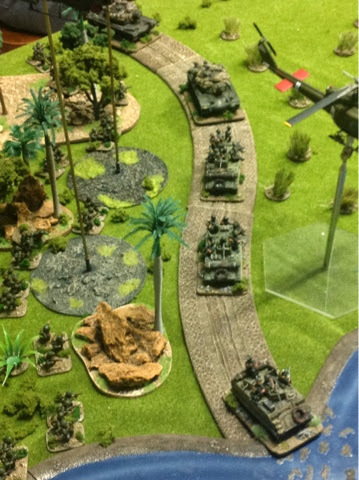 One M48 bails out and the platoon fails their morale check. The sole remaining M48 withdraws. Communist high tide before too many helicopters fly onto the table and hammer my poor peasant soldiers. 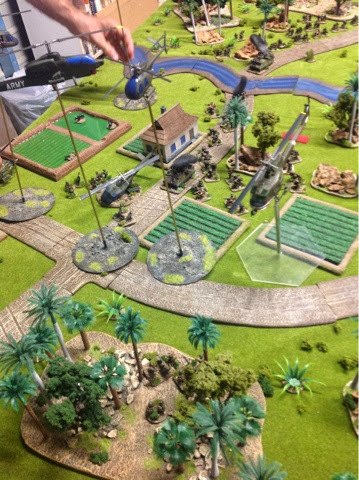 I try and seize the LZ but the helicopter firepower is too much. 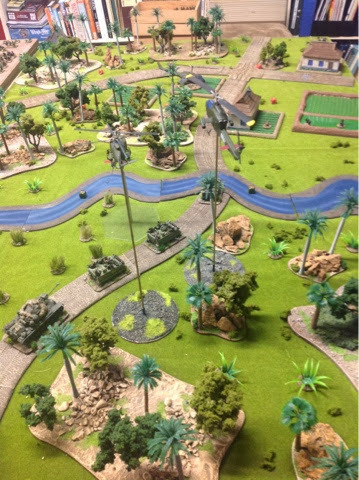 My platoon before rockets and mini guns stop their advance and break their will to carry on. There was only the platoon commander left at the end. 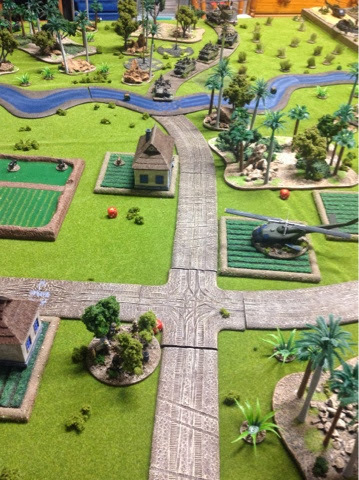 Cracking game and I do like playing the NVA as you can never be sure where they will come onto the board. Was a great game. Mark's Vietnam collection is very nice. We are starting a Arab Israeli project soon, I will do the Israelis with M48s and M60s.